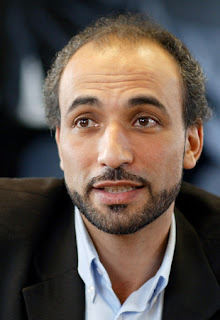 The Rotterdam municipality and the Erasmus University decided last month to dismiss Tariq Ramadan from his function as bridge-builder between immigrant (especially Islamic) and indigenous people. 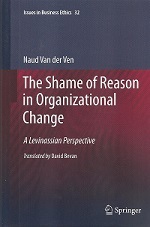 The reason for the dismissal was doubt whether Ramadan distantiated himself clearly enough from repressive Islamic regimes and practices, particularly in Iran. The fuss that subsequently arose over the dismissal of Ramadan, raised the question what should be considered the best approach if you want to build bridges in Rotterdam. With regard to this question I heard MP Alexander Pechtold say that in Rotterdam from the beginning the wrong path was followed by appointing a religious person like Ramadan. According to Pechtold such a person can, because of all the dogmas to which he is tied, by definition not be a bridgebuilder. But, with all respect to Pechtold (and I appreciate him greatly), I find this view very modernist at its narrowest. It testifies to the deep desire for reasonableness and nothing but reasonableness, but it completely ignores the fact that religious passions are strong and in many conflicts play a major role. And that religion itself wants to be taken seriously. So I think you miss opportunities if you leave religion out. In his contribution to the debate college professor Yoessef Azghari indeed gives due honour to religion. He believes that, for the function of bridge-builder you need a liberal-minded Muslim. In any case, someone who takes religion seriously, but also has an open mind and strives for innovation. He must not engage in missionary work. But I think this is a tricky advice. Implementation would mean that the government chooses position in religious matters. The state would determine what is the right content of a religion. I don't think that's going to work either. Academics from the Erasmus University state in a letter to the editor of newspaper NRC hat we throw the academic tradition of freedom of thought and speech for a scramble by showing the door to an intellectual of Ramadan's calibre. I must say, that argument appeals to me. Academic debate and tolerance belong to the crown jewels of our culture, and besides: Ramadan is undeniably at home in the Western tradition. Nietzsche was the subject of his PhD, he speaks well articulated English and French and knows how to behave in academic circles. If, on top of all that, he also is familiar from within with Islam and can speak clearly about is, what more could you want? Whoever rejects that betrays the best of the Western academic tradition. But one might wonder whether these academics rely perhaps too much on appearances. Indeed, how much discussion really takes place with Ramadan? How much discussion can take place at all, if he is the only real from-within-expert around? I'm afraid the indignant academics forget that in order to have the debate they have in mind, there have to be conflicting opinions. Indeed, they themselves do not always agree with Ramadan, but a truly academic reply to him is not to be found in this most learned company. Because in those circles only Ramadan knows what he is talking about. Elaborating on this point I would say: stay within the realm of the religion, continue Ramadan's appointment, and appoint one more expert next to him, with as much knowledge of Islam, but with a totally different view on it. Or better yet, several of such persons. So, Muslims, for instance of the opinion of Azghari. Because then you can get the real debate which is so sorely missed at the moment. Namely, a discussion among Muslims themselves, if need held in Oxford English. And we? We just listen.